Speaking freely in Turkey gets you the same punishment as if you murdered five people, according to detained Turkish journalists. Two reporters sent to pre-trial detention with no indictment remain in custody as freedom of the press in Turkey deteriorates. "We were kept in total isolation for 40 days. We were all alone in our prison cells. This punishment is the same a murderer of five people gets," Can Dundar, a prominent Turkish journalist and current detainee, writes in a letter to BBC. In November, Dundar, chief editor of the Turkish newspaper Cumhuriyet, published evidence that Ankara was allied with Islamist militants in Syria. He was quickly arrested, along with colleague Erdem Gul, the newspaper's Ankara bureau chief, on charges of espionage and "disclosure of state secrets." According to reports published by Cumhuriyet, Islamist fighters in Syria have been provided with ammunition and arms by a Turkish intelligence group. The newspaper published a video of a truck belonging to the Turkish secret services which allegedly transported arms to jihadists in Syria. The government claimed that the vehicles in the footage were providing assistance to Turkmen, a minority group based in Syria. The president of Turkey, Recep Tayyip Erdogan, has stated that publishing the video is an act of espionage. The Turkish president called the reports by the paper a "betrayal" and promised that Dundar "will pay a high price." 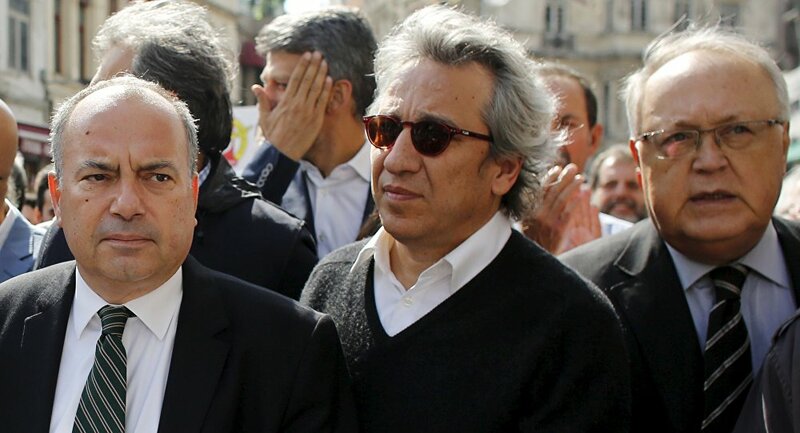 "For the first time in history, a Turkish president personally filed a criminal complaint against a news story not particularly about him," Dundar wrote from Silivri prison. "It was Erdogan's decision to interfere in the civil war in Syria. That's why he saw those uncovering this as his personal nemesis." Families of the detainees can visit their relatives once per month, and believe them safer in prison than free in the city. "It's ironic but we somehow felt relieved when Can was arrested," says Mr Dundar's wife Dilek on the way to Silivri prison. "Some pro-government columnists were saying he could get killed. Every day when he left home for work, I would look up and down the street to see if there was something wrong. We were relieved that at least he didn't get killed," she says. The imprisoned journalists claim they have no regrets and that they have "defended the truth," in revealing Turkey-Islamist fighter cooperation. "I am a journalist. My job is not to defend the interests of the state, but to defend the truth, the interests of the people and the public," Dundar said. "Iran-Contra, Watergate… these are all examples of news stories when the state was caught red-handed. In all these cases, the people who committed the crimes paid a price, not the ones who uncovered them." dep mp kurtulmuş says gov will return to democratic process after ending terrorism. and you know what? he's really that clueless. The EU and several NGOs have repeatedly criticized growing repression against media and the political opposition in Turkey. Reporters Without Borders ranks Turkey in 149th place for freedom of expression.